The National Landlord Investment Show connects 1000s of property professionals at venues throughout the country and is the UK’s leading buy-to-let event. The shows give landlords and investors the chance to connect with suppliers, network and increase their knowledge. We were delighted to be a part of the Landlord Investment Show at London Olympia this year. We find these events to be an invaluable part of improving our offering, and they represent a great opportunity to gauge the market to see if we can support the landlord community in other ways. We have several more planned for the rest of the year and look forward to working with the ever-efficient and knowledgeable Landlord Investment Show Team. We’ve been working with Landlord Investment Show for almost two years and have found the experience to be a resounding commercial success. Tracey and her team very much go the extra mile, and they never fail to get plenty of landlords through the door. I have no problem in saying that working with LIS has been one the best business decisions I’ve ever made as it’s helped to take our business to the next level and beyond. With that in mind, I unreservedly recommend them to you. This is Vantage Finance's second year attending the National Landlord Investment shows, and the quality of attendee continues to amaze. To attract such a vast number of genuine property professionals looking to further their presence or offering in the market is a rarity amongst similar events. The service provided by Steve, Tracey and the whole Landlord team is phenomenal, and they are a pleasure to work with. It’s refreshing working with organisers who genuinely care about the outcomes for both the attendees, but also the exhibitors and I wouldn’t hesitate to recommend visiting or exhibiting at any of their shows. National Landlord Investment Show has been great for our business. We speak with a very broad range of people from 1st time investors to very experienced portfolio landlords. We have been exhibiting since 2015 and have steadily grown our presence due to the success of the events. 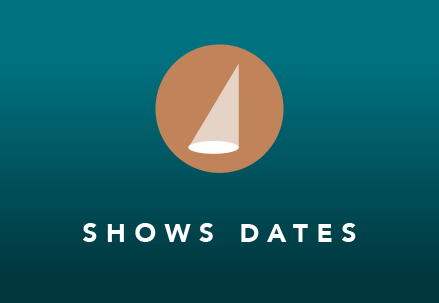 Our 2019 calendar has major shows in London, Birmingham and Manchester. 2019 shows are free to free to enter and all you have to do attend is register with us. Our events are very popular though so we advise booking early to avoid disappointment. Our shows are packed with service providers and highly informative seminars. If you’re a buy-to-let landlord or have an interest in the private rental market then this is the event for you. Entry is completely FREE, all you have to do is register. Our 2019 seminars are packed with brilliant speakers and the season kicks-off at London Olympia show on March 21st with a government special chaired by Broadcaster Andrew Neil and featuring former Secretary of State for Work and Pensions Rt. Hon Iain Duncan Smith MP. Why not share our success by become a show sponsor or seminar speaker. if you’re an industry expert with a particular insight or an organisation with synergies which would benefit from having it’s name connected to a particular show then we’d love to hear from you. We have various packages available and are always happy to discuss your specific needs.